Newspaper Brentian: Baghdadi survived a coup attempt carried out by "foreign evils"
newspaper ' The Guardian' British revealed in a report published Thursday that the leader of the organization 'Daesh' Abu Bakr al - Baghdadi survived an internal coup attempt in the past month at the hands of foreign fighters in his stronghold in eastern Syria. The Guardian said the attempted coup against Baghdadi took place on January 10, 2019, in a town near a hybrid area in Deir al-Zour, the last strongholds of the organization in Syria. It quoted regional intelligence officials as saying that the attempted coup against Baghdadi led to the shooting of foreign fighters in Da'sh and the bodyguards of the organization's leader, but escaped the operation and fled to a nearby area of ​​the desert. According to the British newspaper has offered the 'Da'ash' reward for the killing of one of his cadres, called 'Abu Mu'adh al-Jazeri', a foreign fighter veteran of the organization, and is likely to be one of the 500 fighters in the ranks of the organization in the region. The newspaper pointed out that although the 'da'ash' did not directly accuse the 'Algerian' coup attempt, but the offer of a reward to kill a senior member of the organization is an unusual step, and intelligence officials believe he was the mastermind of the process. According to the Guardian, quoting the same intelligence sources, two people were killed in the confrontation, one of whom was close to the leader of the organization. Iraqi officials and their British and American counterparts are likely to have spent some time recently in the last stronghold of Daqash, where elements of the organization regrouped after two years of heavy casualties on the battlefield. The newspaper pointed out that the leader of the organization suffers from diabetes and high blood pressure, as well as injury sustained in one of the raids of the International Alliance in 2014. Russian media reported on Sunday the details of what it called a "Hollywood play" to arrest the leader of the organization "Daash" called Abu Bakr al-Baghdadi, noting that the latter "under the auspices of a strong American," referring to preparations to turn it into "hero Hollywood "He said. "Al-Baghdadi is the leader of the organization," he said, quoting a source familiar with the Kurdish Democratic Forces of Kurdistan. "The terrorist is currently being held under tight guard by a unit of US forces in a secret location in the east Euphrates ". The source, who asked not to disclose his organizational status that the US forces delayed the intended operation to end the presence of armed supporters in a hybrid area in the suburb of Deir al-Zour, where the latest enclave in the region, is in the context of allowing the implementation of a plan to include the depiction of the operations of landing "Komndos" The spread of "Dahesh" in the southern suburb of Deir al-Zour, to be announced after the arrest of Baghdadi during these operations and then declare the defeat of the organization "Daash." The source added: For this purpose only, the US forces prevented the "Qsd" of its progress towards the small enclave where the few square kilometers that remained for "Daash" east of the Euphrates, and prevented the forces of "popular mobilization" to direct any strikes against the organization " In a hybrid area where US airliners fired warning shots at the "popular crowd"
According to the Russian agency, according to its source, that a scenario very close will be done by US forces through an air landing will be carried out by US forces, especially in a hybrid area and then announced the arrest or killing of Abu Bakr al-Baghdadi, Alive. If the information from East Euphrates is correct, the process will be, as usual, planned and directed by the CIA and US Special Forces, along with al-Baghdadi and some of his escorts, and it may take some time for the alleged assassination of bin Laden. A manuscript that mimics the American narrative of the bin Laden operation when it claimed to have found the New Pearl Harbor Book of the September 11, 2001, attacks on its library. And the interesting thing about it, the participation of al-Baghdadi the role of secondary hero in that play, which certainly need some pre-rehearsals. US Defense Secretary Patrick Chanahan revealed at the end of January that Damascus was expected to lose its last Syrian-controlled territory in favor of US-backed forces within two weeks. A senior Iraqi military official in Baghdad, revealed in a press statement at the end of last month about the crossing of a special US force into Syrian territory through the Kurdistan region of Iraq, accompanied by an armed unit of the "Syrian Democratic Forces"
According to the Iraqi official, the American squad was inside a military base in the city of Arbil and moved to within the territory of Syria, the first time they enter there, noting that "the available information says that the US military wants Baghdadi alive, which may explain the entry of troops Especially in the areas of Syria, can be considered as militarily inferior, as is the delay in resolving the entry of the Kurdish militias to the remaining villages and small Syrian towns, although they can do so, with the air cover. " The French Press Agency (AFP) published a report prepared by the East Euphrates on the fourth of this month, saying: "The leaders of the (Syrian Democratic Forces - Qadid) not to set a deadline for the end of the battle against the organization," Daash "terrorist in the east of the Euphrates And close the door in the face of any negotiations with him to end the battle, "noting that the fighters" Qsd "who besieged the pocket of the recent Dahesh in the region sitting and drinking tea and smoking cigarettes and set fire to the heating while watching the movement of the elements" da'ash "trapped in the neighborhood, but do not offer to launch any An attack on the organization despite their ability to quickly resolve. The agency quoted them as a state of calm took control of the front lines for about a week, interrupted from time to time the sound of intermittent fire or the sound of strikes of the "International Alliance" or artillery on the back lines of the organization, explaining that during the US air strikes on the strongholds of the organization managed about 35 thousand civilians from the escape from the strongholds of the organization, including about 3500 fighters and moved to the areas of control, "Qd". British newspaper talks about the end of the dream, "Abu Bakr al-Baghdadi"
British newspaper The Daily Telegraph published Wednesday a special report on its correspondent in Deir al-Zour in Syria, Josie Esnour, entitled "An Aggressive Organization that May Witness the End of the Caliphate's Dream Today." The correspondent said that "Abu Bakr al-Baghdadi, a leader of the announced from the pulpit of the mosque of Nuri in the city of Mosul on the establishment of the state of the Caliphate in 2014," adding that "his speech hit many in a state of shock and shock, and soon joined tens of thousands of this organization has become the title of global terrorism" . "Today, the small village in the Syrian desert will witness the end of the dream of the Islamic state," she said. "The enemy is completely besieged and the elements of the organization are being attacked," said Colonel Sean Ryan of the US-led coalition. The colonel confirmed to the newspaper that it was too early to say the battle could end soon, but local commanders say the battle will end today. The article noted that some of the hundreds of fighters of the state organization in the village of Baguz ready to negotiate with the forces of Syria's democracy-backed coalition forces to secure a safe passage to the last strongholds of the organization in Syria in exchange for the release of foreign detainees. "A supporter will not surrender easily, they will infiltrate Syria's democratic forces and carry out suicide attacks," the writer quoted an Italian photographer working on the front lines with the Syrian Democratic Forces as saying. "They carried out 10 operations today, only in an area of ​​only 800 meters." A security source, a security source, was likely to be a sympathetic leader of the terrorist Abu Bakr al-Baghdadi, surrounded by five of his "ministers" in a small area in the Iraqi-Syrian border area. 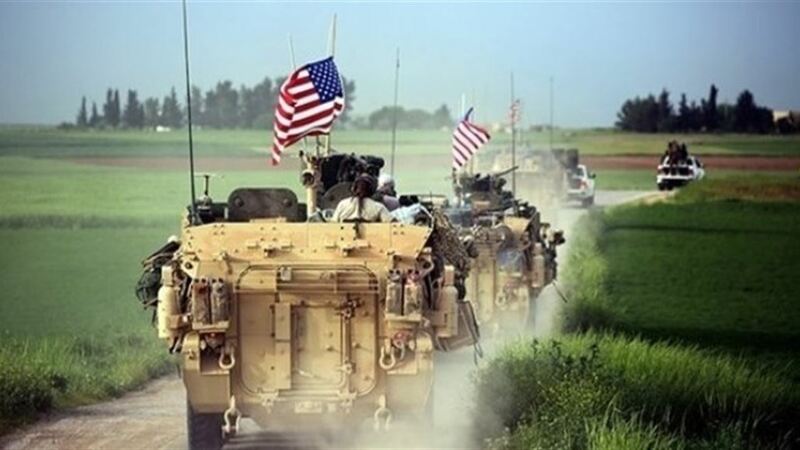 The Iraqi source said that "there is an American force besieging elements in the last bastion in Syria, a small area in Deir al-Zour, no more than seven kilometers, which is adjacent to the Iraqi border directly." The Iraqi forces "are monitoring the operation and are prepared to confront any developments that may occur, in order to protect the Iraqi border from trying to enter the terrorists." For his part, spokesman for joint operations Brigadier General Yahya Rasool said in a press statement today that "if we find the place of Baghdadi, we will target him and spend it." The British newspaper The Guardian published a few days ago reports of a coup attempt on Baghdadi in their last pocket in northern Syria, but the attempted coup failed, quoting eyewitnesses that was seen Baghdadi during the fighting in which killed all elements who tried to overthrow Baghdadi in Confrontations with his bodyguards. A security source said on Sunday that Abu Omar al-Baghdadi was killed in the battle for the revenge of the martyrs on the island of Samarra. "The terrorist known as Abu Omar al-Baghdadi died in the battle of the martyrs' revenge on the island of Samarra at the hands of the heroes of the Union and the peace corps," a source in the Peace Brigades told Mawazine News. [ltr]"Al-Baghdadi is currently besieged in a tight team and is moving in very difficult ways to get rid of the disabilities and the Iraqi and Syrian intelligence services that are following him," Khalaf told AFP. He pointed out that "there are infrastructure in the desert and the danger is still in place and citizens outside the cities to be cautious and take the main roads and protected by the state." Khalaf explained that "the two wheels that attacked and killed a large number of civilians in the desert areas west of the urban area and Mukhul and Nukheib are all free of the armed forces," adding that "there is no growing activity for the drowsy; but to go so easy targets is the danger and citizens to move on Protected roads ". He added that "now orders issued to the army and the armed forces to search and destroy these tunnels and sites expected to be present in a supportive," noting that "the danger exists and includes the treatment of people and they should know that the risks still exist," pointing to " "He said. revealed a security source in Anbar province, on Wednesday, the whereabouts of "Daesh" criminal gangs leader Abu Bakr al - Baghdadi, while surprised not to target cells "Aldaashah" by the American aviation. The source, who preferred not to be identified in a statement to the Agency / Information / / "There is preliminary information indicating the presence of the leader of groups calling for the criminal Abu Bakr al-Baghdadi, in the Husayniyat district of Hit west of Anbar province," noting that "Baghdadi came to the west of Al-Anbar after the battles inside The Syrian depth forced him to infiltrate in rough ways and far from the eyes of the security forces to that area. " He added that "bandit gangs fled the battles of the depth of Syria in the east of the Euphrates in Rabbana and then to the Bajor to be able to transit to the desert areas west of Alanbar with the help of herders sheep are smuggling operations in exchange for high amounts of money," noting that "US fighter jets refuse to target fleeing from them via the desert ". The source said that "the security forces are investigating in areas deep in the desert in search of the whereabouts of al-Baghdadi, which disappeared from view after the battles of the Syrian Democratic forces and criminal gangs near the border with Iraq." A source in the Iraqi intelligence denied on Sunday reports that a guerrilla leader had summoned the terrorist Abu Bakr al-Baghdadi to Iraqi territory in Anbar province from Syria. The source said in a press statement that "the information on the entry of Abu Bakr al-Baghdadi to the Anbar desert is inaccurate and fundamentally incorrect; he did not enter Iraq and did not meet any of his followers inside Iraqi territory." "Baghdadi is still under the eyes of the Iraqi intelligence and the international coalition." The Iraqi media quoted earlier today; Iraqi and US sources that a gang leader called on the terrorist Abu Bakr al-Baghdadi, entered a few days ago, to the desert of Anbar province in an attempt to use this area as a new camp to revive the ranks after losing the last strongholds in the province Deir al-Zour Syrian. Iraqi and US intelligence sources revealed on Sunday the arrival of a guerrilla leader and called on the terrorist Abu Bakr al-Baghdadi to the province of Anbar in an attempt to revive the capabilities of Dahesh. 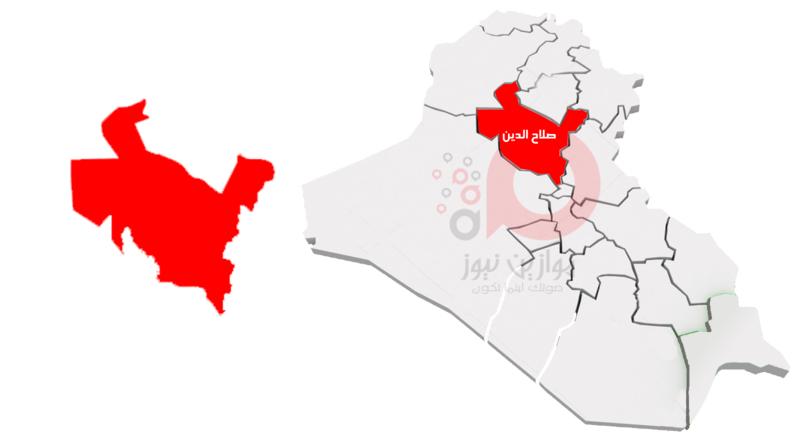 A source close to the US forces deployed in Iraq; in a press statement; that Baghdadi after the loss of the last stronghold in the Syrian monastery of Deir al-Zour; trying to arrange the ranks of terrorists, using the desert of Anbar, a new camp for Daash. The source pointed out that al-Baghdadi arrived with his aides a few days ago to the Anbar desert through the tunnels linking the Syrian Deir al-Zour areas in the Iraqi city of Qaim, tunnels through which terrorists transport cars or motorcycles between the borders of Syria and Iraq. "The information that reached the US military indicates the presence of al-Baghdadi and his associates in the area of ​​Husayniyat; amid heavy guard, accompanied by 350-500 terrorist from the Mujahedeen," Mstdarka, "but Baghdadi is not fixed in a specific place and travels through the tunnels between the areas of Husayniyat and Wadi Houran "He said. He pointed out that "the flight of the International Coalition and the US military and the Iraqi security forces with all their teeth, it is difficult to access cars and armored vehicles to those areas." Re: Newspaper Brentian: Baghdadi survived a coup attempt carried out by "foreign evils"
The deputy of the Fatah alliance, Hassan Salem, said that the leader of the supporter of terrorist Abu Bakr al-Baghdadi, is in the Western Sahara of the country and the protection of US forces. "The Ain al-Assad air base west of Anbar province provides all means of support for Baghdadi's movements between Iraq and Syria," Salem said in a statement. He said. He pointed out that "al-Baghdadi moves between Iraq and Syria to protect the Americans, taking from the Anbar desert a safe haven for him, while the American forces provide him with all means of support through their presence at the base (eye of Assad)." "Support for the movements of Baghdadi and his terrorist gangs has come to Washington's fear that the draft law on the expulsion of foreign troops, which the parliament intends to vote, will be passed at the beginning of the new legislative term," he said.